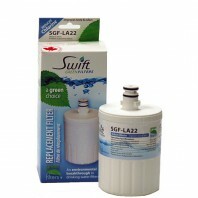 Swift Green started in 2009 as a mission to change the way we use refrigerator water filters and reduce our carbon footprint. 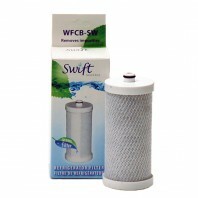 Today, Swift Green has become a leader in green water filtration products and the first company in the water filter industry to establish a green filter product line. All components of their filters are recyclable. More than just traders, they are also manufacturers and are proud to say that all components of their filters are manufactured in North America. At Discount FIlter Store, we carry a wide variety of Swift Green Filters and Refrigerator Filters, that fit many different refrigerators. 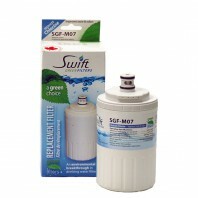 In addition to Swift Green, we also carry green water filtration products from Hydrologic, Klean Kanteen, Nubo and more.